While it may seem like an intimidating process, purchasing and owning your first home is an attainable goal. It’s made even more attainable through mortgage programs specifically geared toward first-time homebuyers. There are programs offered by both the federal government and the California state government. If you find the process of buying your first home confusing, it may help to speak with a professional. The SmartAdvisor matching tool can connect you with as many as three fiduciary financial advisors in your area. Before we break down the programs specifically for California residents, we’ll discuss a handful of federal home buyer programs available to people in all states. Be sure to consider both national and state options when going through your mortgage search. A Federal Housing Administration (FHA) mortgage is one of the best loan options for a first-time homebuyer. It has few eligibility requirements and they’re all easy to meet, meaning it offers many Americans the chance to take advantage of its benefits. First and foremost your down payment can be as low as 3.5% of your new home’s value. (If your FICO® credit score is below 580, that minimum could rise as high as 10%.) Compare this to a conventional mortgage, which typically requires a 20% down payment, and you can understand why so many homebuyers take advantage of the program. If you have the ability to pay off an FHA loan early, you can do so without being inhibited by the typical penalty fees of a conventional loan. Your closing costs will also be lower than most loans, which will make things even easier if you’re truly strapped for cash. As you might expect, a VA loan is tailor-made for current military members, veterans and their spouses, as well as other beneficiaries the Department of Veterans Affairs deems eligible. However, the VA doesn’t physically lend you the money. Instead, it insures your loan in conjunction with an outside lender. You are required to pay a VA funding fee for these loans, though, with rates ranging from 1.25% to 2.4% depending on how much you’re putting toward your down payment. The main draw of a VA loan is its lack of a down payment requirement, meaning it can be used to pay for the entire value of your home. This is an especially valuable feature if you’ve got the income for a monthly mortgage payments, but have struggled to save for a down payment. The VA also lowers the closing costs typically associated with these mortgages, helping to keep your initial costs as low as possible. While your credit definitely doesn’t have to be top-notch to get approval for a VA loan, it you’ll need at least a 620 FICO® score to qualify. A United States Department of Agriculture (USDA) mortgage is likewise doesn’t require a down payment. Even applicants with a scarred credit history will usually get a USDA loan, as the credit stipulations attached to this type of loan are fairly easy to fulfill. Should you fall below the acceptable threshold, though, you may need to take on a 10% down payment. To be eligible for a USDA loan, the home must be in a federally recognized and approved rural or semi-rural area. On top of that, if your income is more than 115% of the adjusted U.S. median income, you’ll be eliminated from contention. In an effort to boost communities around the country that the Department of Housing and Urban Development (HUD) has termed “revitalization areas,” the government agency created the Good Neighbor Next Door Program. Rather than provide an actual mortgage, this program is designed to offer a 50% discount on homes in these places for emergency medical technicians, police officers, firefighters and pre-K through 12th-grade teachers. To cover the remaining half, the program allows you to get any kind of mortgage you want, including VA, FHA and conventional ones. Anyone who chooses to utilize this program must agree to make the new home his or her primary legal residence for at least three years. For those who can make it through that time, you can then sell the home, leaving you with all the equity and profit to which you’re entitled. 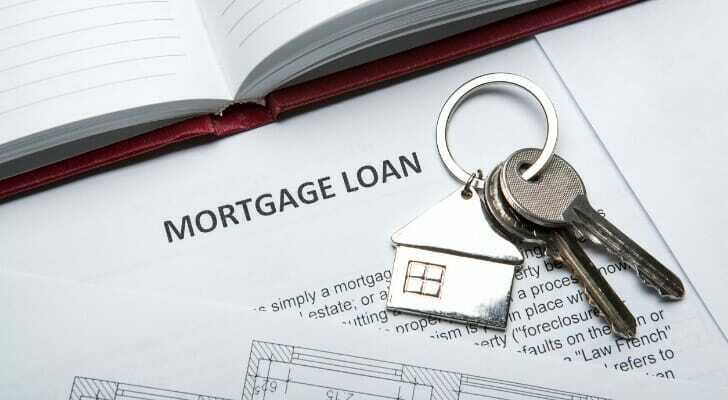 Fannie Mae and Freddie Mac are federal government-backed lenders created to address a number of loan issues in the U.S., including problems surrounding first-time homebuyers. Though they’re similar, their loan offerings are different. The Home Possible® mortgage from Freddie Mac requires just a 3% down payment, which is why you may see it called a 97% LTV loan. LTV means “loan-to-value,” or what percentage of your new home’s value will be covered by the loan. A Home Possible mortgage offers a good deal of choice, with 15- to 30-year fixed-rate and 10/1, 7/1, 5/5 and 5/1 terms available. It comes with cancellable mortgage insurance as well. Fannie Mae’s answer to Home Possible loans is the HomeReady® mortgage, which calls for a 3% down payment. All you need to do to qualify is have a FICO® credit score of 620 or above and have an income less than or around the U.S. median. Unfortunately, though, private mortgage insurance is necessary for this loan, though it can be cancelled after you’ve grown to own at least 20% equity in your home. The VA formed the Native American Direct Loan (NADL) for Native American and Pacific Islander veterans of the U.S. and their spouses. Even if you have low credit and no assets for a sizable down payment, an NADL is still attainable if you’re eligible. In fact, this mortgage can be had without a down payment and private mortgage insurance. However, you’ll still be required to pay closing costs, though they’re significantly lower than those related to a conventional mortgage. The final precondition associated with this loan is that your new home is on one of the following: allotted lands, Alaska Native corporations, Pacific Island territories or federally-recognized trusts. If not, a VA loan might be a better choice. The CalHFA and CalPLUS loans are both part of California’s conventional loan program, and both are 30-year fixed-rate mortgages, although the CalPLUS is fully amortized. These are fairly standard loans with solid interest rates, though each must be privately insured. 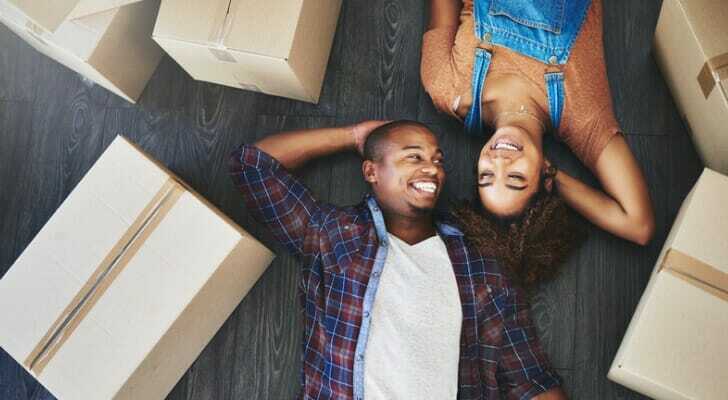 To get better benefits, these mortgage options can be paired with the CalHFA Zero Interest Program and Extra Credit Teacher Home Purchase Program. To be eligible for this loan, your annual income can’t exceed the limit set by your county, which range from $118,550 to $228,300. California set up the Zero Interest Program to provide borrowers closing cost assistance, and this is only eligible for CalPLUS applicants. On the other hand, the Extra Credit Teacher Home Purchase Program is reserved for CalHFA loan borrowers who are first-time homebuyers and a teacher, school district employee, school administrator or another kind of school staff member. This closing cost/down payment assistance can be for anywhere from $7,500 to $15,000. FHA-insured CalHFA FHA and CalPLUS FHA loans are 30-year fixed-rate mortgages. The CalPLUS FHA loan is offered as a fully amortized loan. Aside from the backing from the FHA, these loans are identical to the conventional CalHFA and CalPLUS loans listed above. That means that the CalHFA FHA loan is eligible for the Extra Credit Teacher Home Purchase Program, and the CalPLUS FHA is matched with the Zero Interest Program. In order to help qualified Californians pay their closing costs and put down an initial payment, it created the MyHome Assistance Program. For those who are eligible, you could get up to 3.5% of your home’s price back as a deferred-payment loan. That means that until you refinance, pay off your existing mortgage or you sell the home, you will not be required to start making payments. You cannot take advantage of this offer unless you already have a CalHFA first mortgage loan. Any K-12 public school teachers, administrators and other employees can take advantage of the School Teacher and Employee Assistance Program. You can combined this with some first-time homebuyer mortgages through CalHFA, and it’s meant to aid you in paying your down payment and any closing costs. You can get back with this second mortgage as much as 4% of the purchase price of your home. Like some of the other programs on this list, until you sell your new home, fully pay it off or you choose to refinance, you do not have to make payments. Cal-EEM stands for CalHFA Energy Efficient Mortgage, and it is a 30-year fixed-rate loan. This is specifically for making energy efficient home improvements, and is paired with the Cal-EEM Grant which does not have to be repaid and can be used for these improvements. Also, because the FHA backs this loan, the credit level necessary for approval is lower than most conventional mortgages. California allows borrowers in this program to pair their loan with the MyHome Assistance Program and/or School Teacher and Employee Assistance Program. In addition to taking advantage of any federal or state programs available to you, it’s also vital to shop around to get the best mortgage. Check with specific lenders and look at interest rates so you get the best possible terms. A mortgage is likely the largest loan that you’ll ever take out during your lifetime. That’s one reason it’s a good idea to work with an advisor who can help you understand how it will impact your finances. Don’t have a financial advisor? Consult the SmartAsset financial advisor matching tool. By simply answering a few questions about your personal finances, you’ll be paired with advisors in your area who are equipped to handle your situation.